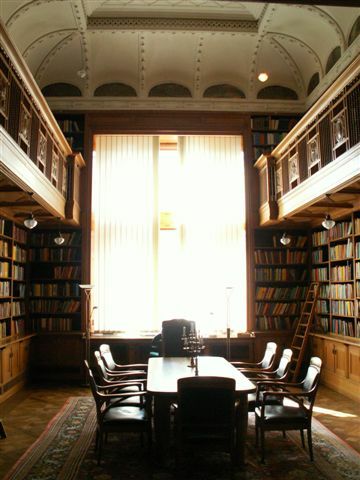 Institut Mittag-Leffler maintains an extensive mathematical library. The collections of older literature in the library are particularly fine. There is also an interesting archive with correspondence, manuscripts and other documents of Gösta Mittag-Leffler, Sofia Kovalevskaya and Karl Weierstrass. 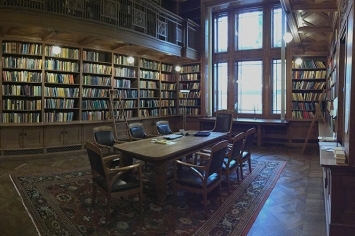 Participants in the Institute's scientific program have free access to the library. For all others, the library is available only on special request. Please contact the Librarian. Information on how to borrow is found in the library. Please note: Never remove a book or journal from the library without leaving two borrowing slips. 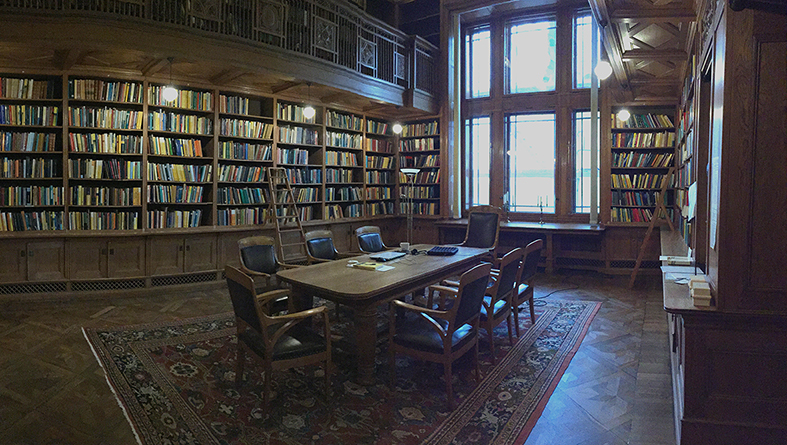 The Institute's modern book collection is placed in the third-floor library and its gallery. To search for books in the Mittag-Leffler library, please use the Swedish electronic catalog system, LIBRIS. It maintains a common database for some 200 Swedish research libraries. The system is customized so that books in the Mittag-Leffler library are emphasized. If you choose "My libraries" the search will be restricted to our library. The shelf mark shows in what section the book is located. There are lists on the walls in the library indicating the shelf numbers for each section. Note that there are many books older than around 150 years which are not in the LIBRIS system. For these books you have to make a search in the card catalog on the second floor. We have no special collections of eBooks. In recent years our journal subscriptions have gradually been transferred from paper to electronic form. On the shelves you may still browse and read some of the major journals and a number of our exchange journals. The catalog system LIBRIS displays our paper journals and their locations. In the journal library on the second floor, a folder also lists the recent paper journals alphabetically. 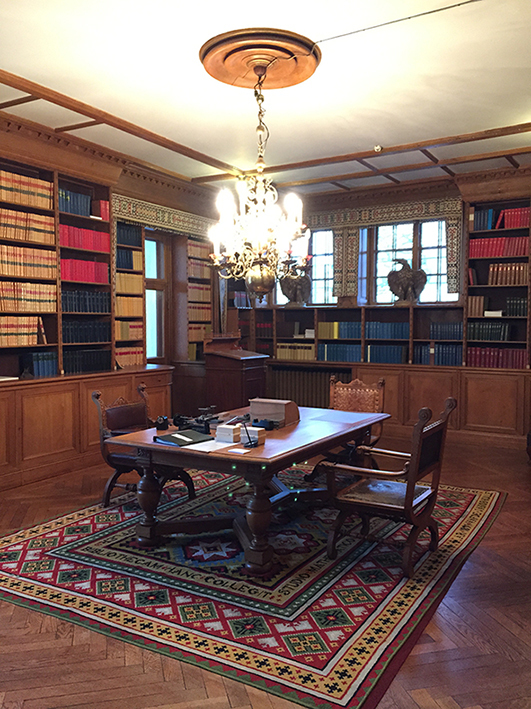 Older volumes and journals are stored in special archives.